Cardiac stress testing can play an important role in diagnosing heart disease and optimizing treatment for patients with existing heart-related issues. 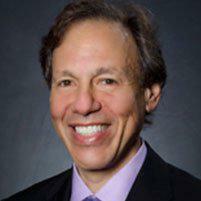 Dr. Herbert Insel has extensive experience in state-of-the-art stress test techniques aimed at helping patients in Manhattan and throughout New York City enjoy optimal cardiac health. A cardiac stress test is a diagnostic test used to evaluate the heart's performance under physical stress, such as during intense aerobic exercise. Stress tests can be very helpful in determining how well your heart pumps blood, the amount of blood that enters and exits the heart during physical activity, and whether your heart is diseased or has any structural defects that are preventing it from functioning normally. When are stress tests performed? Cardiac stress testing may be performed to evaluate symptoms associated with heart disease, to evaluate how a patient is recovering following a heart-related incident, or to monitor the success of treatment. It's also used to evaluate arrhythmias and to adjust ongoing treatment for heart failure. Patients with heart disease may need to have stress tests prior to surgery or before beginning exercise programs. How is a cardiac stress test performed? Stress testing is performed using a treadmill or an exercise bike. Prior to the test, blood pressure is measured and EKG electrodes are applied to different areas of the body so the heart's electrical activity can be monitored. A pulse oximeter may be used to evaluate the level of oxygen in the blood, and a blood pressure cuff may also be worn during the test. During the test, patients are asked to walk on the treadmill or peddle the bike for a prescribed period of time at increasing speeds to evaluate how well the heart responds. The heart activity is monitored at all times. Dr. Insel performs stress testing at his office also utilizing an echocardiogram, a special ultrasound performed before and immediately after the test to provide images of the heart's activity. The stress echo is a much more reliable and accurate test compared to cardiac stress testing utilizing EKGs alone.